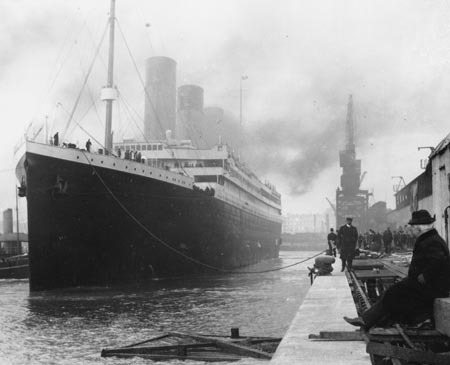 The loss of the Titanic was an incredible story even looking back 101 years to 1912 but to the people of the time it was the equivalent of 9/11 and then some. I am reminded of that time by a copy of the Cork Examiner from Monday, April 13, 1912 which a friend brought back after visiting the Cobh Titanic exhibition in Cork where the ship last sailed from. The complete newspaper is moments in time, when a disaster of incredible magnitude had just occurred and stunned local people in Ireland were trying to make sense of it. Among the stories is that of the “Lucky Stoker” A young local man called Coffey who made a miraculous escape. He signed on to the Titanic in Southampton but jumped ship at Queenstown, as Cobh was then known, as he did not like his job. Much sadder is the flood of inquiries at the telegraph office at Queenstown and personal visits from worried relatives desperate to confirm whether or not their beloved ones were on board. “The White Star Co’s agents here, Messrs Scott and Co- continue to receive shoals of telegrams and letters making the most pathetic enquiries,” the story runs. “Enquiries at Queenstown ---Pathetic messages” runs the headline. The Home Rule for Ireland debate also took up many column inches “Home Rule Bill Debate Resumed, Mr. Balfour’s Attack” was the main headline. Wade through all that and you finally get to the biggest story of the century on page 7 and there it is. We are still living in the shadows of it.